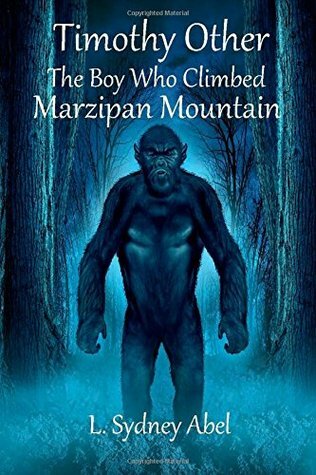 12 year-old adventurer, the intriguingly named Timothy Other, escapes the Dreams and Hopes Orphanage and travels to the bizarre world of Marzipan Mountain, where he befriends some amazing creatures. With the help of his friends, Timothy seeks to discover his true origins and returns to the Orphanage. He becomes embroiled in a matter of life and death and faces the evil forces that crave the secret of ‘Golden Life’. This was a fun, light read. After a scary book I read the other day this was a perfect book to counter that. There was a good sense of adventure there the I think could be fun for all ages though it's probably more suited for younger readers. That being said as mostly a young-adult reader I still found this book interesting to read and kind of fun. There were things that I didn't really understand and it wasn't explained throughout the book either. That's okay though because the ending was still good enough that I didn't mind the unanswered questions. There was a magical element to it that was a nice aspect to have, especially for a paranormal lover like myself. Timothy is pretty awesome, I mean he survives a plane crash and just continues on his merry way. I really enjoyed his character and after all the other kids names I thought his was the best but that is pretty obvious. I mean, Belle "Scrubby" Scrubwood... that poor girl having to grow up with a name like that but I guess growing up in an orphanage isn't easy to begin with. The ending of the book was great and really made me a fan of this author. Most of the book almost felt like it was a story being read to me and I always love when that happens. By the time I got to the end of the book I wasn't really paying attention to how the narrative was to be honest, I was too wrapped up in the story by then.